Trex©Decking. Easy to forget. Impossible to ignore. 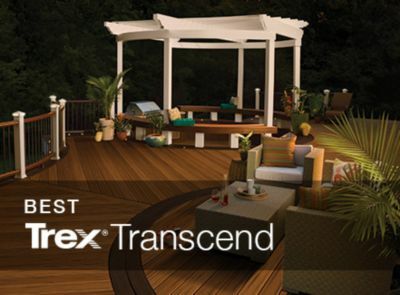 Sunboss proudly uses Trex© decking. There business was built on the invention and perfection of wood-alternative decking. 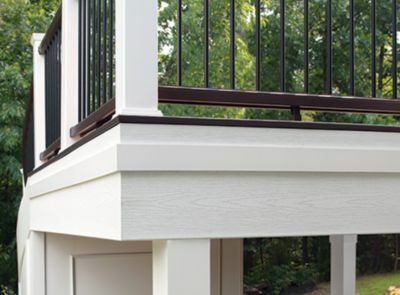 And although they’ve expanded our outdoor offerings through the years, the enduring beauty and hassle-free maintenance of their decking and railing materials still inspires every innovation. Start browsing our collection of information and resources on the revolutionary products at the heart of the world’s #1 decking brand. 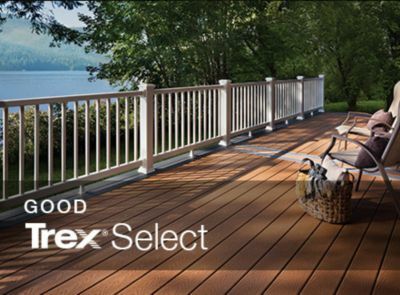 Trex® signature strength in three versatile colors. 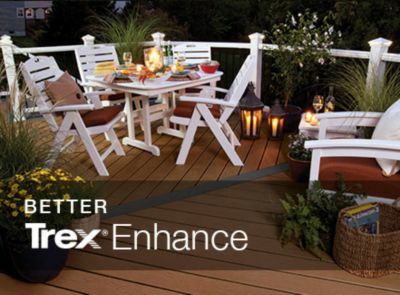 The finished edge of your deck in all Trex colors, plus Universal Fascia in White. 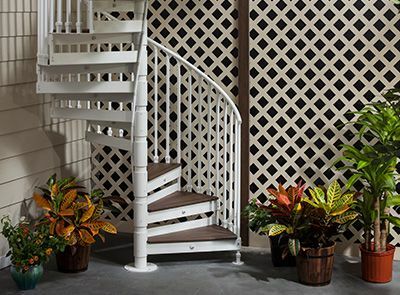 The space-saving, customizable metal stairs solution for even the most challenging property lines and deck designs. 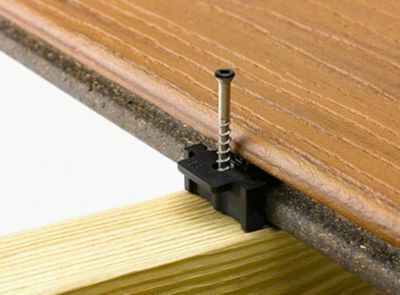 Everything you need to get busy building—from fasteners to saw blades—features Trex-grade engineering. Premium Quality Products: We are backed by Four Seasons Sunrooms, the most trusted name in sunrooms and solariums throughout the United States. Highly Trained Professionals: All of our installers are factory trained. In fact, many of them have been with us since we first opened up for business more than 25 years ago. As a result, you can take comfort knowing that your sunroom or solarium is being installed by the very best. Individualized Service: From your very first consultation until your sunroom or solarium is installed and beyond, we will be right there with you to ensure that the process goes smoothly and you are nothing less than satisfied. Peace of mind: We are proud of our reputation as being the leading sunroom installation company serving the Southern California region. When you trust Sunboss with your sunroom installation, you can breathe easy and enjoy peace of mind knowing that your installation will be done right the first time, and you’ll absolutely love the result when the job is complete.